Update: This post is old! Go to the new post! It’s right here. You want to go out drinking, but you don’t want to spend a ton of cash in the process. Here’s your guide to the best happy hours, pint nights and drink specials all over the city. – Automatic Slim’s: $5 martinis and half-price appetizers from 4 p.m. – 7 p.m., Monday – Friday. – Bar Louie: Memphis’ Bar Louie location has $1 off 14 oz. drafts, $2 off 20 oz. drafts, half price bottles of wine and $2 off martinis and specialty cocktails from 3 p.m. until 6 p.m., Monday through Friday. – Bardog Tavern: $2 Fireball shots, $1 off all pints from 5 p.m. – 7 p.m., Monday – Friday. – Blind Bear: Happy hour is Monday through Friday from 5 p.m. until 8 p.m. Domestic bottles are $2.50, well drinks are $4 and wines are $5. – Bon Ton Cafe: Happy hour at Bon Ton means $4 margaritas and Long Islands, $2 off premium liquor and $1 off house wine every Monday – Friday from 4 p.m. until 6 p.m.
– Bosco’s Squared: Discounts on well drinks, beers and wine (and a daily cellerman ceremony) from 3:30 p.m. until 6:30 p.m., Monday – Friday. Since most of the beers at Bosco’s are high-alcohol content, this is one of the most effiecient happy hours in town. – Brass Door: Happy hour is from 4 p.m. until 7 p.m. every weekday. You can take $1 off all pints of beer (other than Guiness), house wine and well drinks. – Brookhaven Pub: Happy hour from 11 a.m. – 7 p.m., Monday through Friday. $1 off all beers and well drinks. – Ciao Bella: Half price drink specials and bar food from 4 p.m. – 7 p.m., Sunday through Thursday. – Corner Bar (updated 4/16/2014): Happy hour at Corner Bar is from 5 p.m. – 7 p.m. and is different every day. On Mondays, select martinis, margaritas, and mojitas are $3. On Tuesday, Tennesse beers and spirits are $3 each. Wednesdays, you can choose from a selection of house red and white wines for $2.50, $5, and $7 each . Thursdays is Girls’ Night Out, and you can choose from a selection of pink drinks for $3 each. – The Cove: The Cove has cocktail and oyster specials from 5 p.m. until 8 p.m., every Tuesday – Friday. – East Tapas: Happy hour is Monday – Friday from 4:30 p.m. until 6:30 p.m. Get $1 off domestic beers and small plates and $.50 off wines by the glass and specialty cocktails. – Fleming’s: Sit at the bar and get five appetizers, cocktails and wines for $6 each by the glass every night until 7 p.m.
– Green Beetle: The Green Beetle’s happy hour is from 3 p.m. until 7 p.m., Monday through Friday. All well drinks, draft beers and house wines are $3. – Huey’s: Happy hour is from 4 p.m. – 7 p.m. every Monday through Friday at all Huey’s locations. Most drinks are $0.75 off. – Huey’s Cordova: Two-for-one domestic bottles and well drinks every weekday at Huey’s Cordova location. – Jim’s Place: Happy hour happens in the bar from 3 p.m. – 7 p.m., Mondays through Saturdays. Well drinks are $4.50, domestic beers are $3. – Local Gastropub: $3 well drinks and draught beers, $1 off bottled beers, specialty cocktails and wine by the glass from 4 p.m. – 7 p.m., Monday – Friday. – Raffe’s Beer Garden: Happy hour is from 4 p.m. until 7 p.m. every Monday – Friday, and you can get $3 draft beers and two-for-$3 domestic bottles. – Sekisui: two-for-one hot sake at all Sekisui from 4 p.m. – 7 p.m., Monday – Friday. – Side Street Grill: Happy hour runs until 7 p.m. All well drinks, draft beers and house wines are $3. – Silly Goose: $2 domestic beers, $3 well drinks, $4 wine and $5 appetizers from 4 p.m. until 7:30 p.m., Monday – Friday. – South of Beale: Have $3 draft beers, $4 well drinks and $4 glasses of wine at SOB from 4 p.m. – 6 p.m., Monday – Friday. – Swanky’s Taco Shop: Happy hour is Monday – Friday from 4 p.m. – 7 p.m. All domestic beers are $2.75 and house margaritas are $4. – Tamp and Tap: Tamp and Tap has two happy hours every week day, one from 10 a.m. – 11 a.m. and one from 5 p.m. – 6 p.m. During both happy hours, all drinks (beer, coffee, whatever) are $1 off. – The Tower Room: All drinks are half price from 4 p.m. – 7 p.m., Monday – Friday. – Aldo’s Pizza Pies: All pints are $3 on Monday nights beginning at 5 p.m.
– Bardog Tavern: All pints $3 on Tuesdays from 7 p.m. to close. – Brookhaven Pub: All pints $2.50 on Monday nights. – Bayou Bar and Grill: All pints $3 on Tuesdays. – Celtic Crossing: Pints start at $2.50 on Monday nights. – Flying Saucer: Almost all pints are $3 on Monday nights. – Huey’s Downtown: $3 pints on Wednesday nights from 4 p.m. until 10 p.m.
– Mama Mia’s: $.90 PBRs on Monday nights, which is possibly the cheapest PBR in the Memphis area. – Side Street: All import bottles are $2 on Tuesdays. – Slider Inn: All Pints $3 on Tuesday. – South of Beale: All pints $3 on Wednesday and Sunday nights. – Young Ave. Deli : All pints $3 on Wednesday night. – Brass Door: $3 house wines every Wednesday night. – Celtic Crossing: Wine is $2 off per glass or $5 off per bottle on Tuesday nights. – Jim’s Place: On Tuesdays, house wine is half price. – Le Chardonnay: Wine by the glass is half price every Monday through Friday from 4 p.m. until 7 p.m.
– Old Venice Pizza: House wine is half price on Wednesdays. – Spindini: Half off of all pizza and wine on Monday nights. – Bangkok Alley : Tuesday is two-for-one martini night. – The Cove: Martini Madness on Saturdays means $5 martinis from 5 p.m. until 8 p.m.
– East Tapas: Tini Tuesday (every Tuesday) means $5 specialty martinis all day every Tuesday. – Felicia Suzanne’s: Start your weekend with a three-martini lunch. Felicia’s has $0.25 martinis on Fridays during lunch service. – Jim’s Place: Well martinis are $4 on Mondays. – Side Street: $5 martinis on Mondays. – The Cove : $1 PBRs during karaoke on Wednesday nights. – Ferraro’s: PBR is $1 every Tuesday night during trivia. – Raffe’s Beer Garden: Thursday is bottle night. All bottled beers are $1 off. – Automatic Slim’s: $2.50 bloody Marys and mimosas all day on Sunday. – Bayou Bar and Grill: $3 mimosas, bloody Marys and screwdrivers on Sundays. 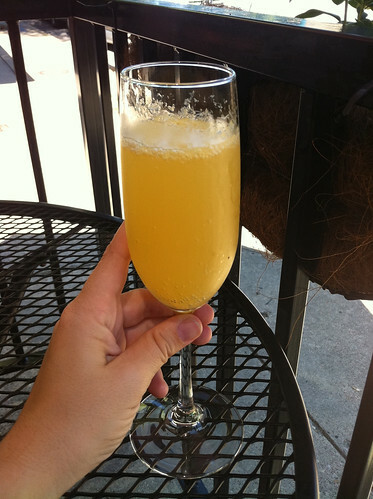 – Majestic Grille: During brunch, you can get a bottle of champagne and a caraffe of OJ for $14. – R.P. Tracks: Mimosas are $3.50 during brunch on Saturday and Sunday. – Side Street: All-you-can-drink bloody Marys for $22 on Sundays. – Thai Bistro: On Sundays, mimosas are $1 during brunch and pints are $3 all day. Know of any other great Memphis drink specials, email me the details or leave them in the comments and I’ll add them to the list. Kerry, Bless you for all the good you do! I'm moving to Memphis this week and this is the best info anyone has given me yet! Thanks! I agree with Harrison! Saint Kerry saves my social life again! let's not forget fox and hound cheap pints on tuesday's no?? "most of beers at Bosco's are high-alcohol content", you might double check that statement, I didn't think Boscos could legally make beers over 5% (5% is your average beer). Thanks, let me know if you find out more on this. @John – agreed. You can also get an all-star card (free) and continuously get points with every purchase. With enough points, they will charge you pint-price for 32 oz beers. Sidestreets import night is Thursday, not Tuesday. Pasta night is Tuesday. Steak night is Wednesday. Thanks Kerry! I've been wishing someone would compile something like this for a LONG time. This is glorious. I was just asked what I missed about Austin and my response was "happy hour". LOVE YOUR BLOG! Was going to let you know that import night is on Thursday's at Side Street. I am a weekly patron on this night. 🙂 Thanks again for the other info, this is awesome information. Might want to remove that one. Flemings also has $6 steak burgers from 5-7 everyday at the bar and Ruths Chris has a $7 happy hour dining menu at the bat. Bar Louie has Happy Hour, M-F, 3 to 6. $1 off 14 oz. draft, $2 off 20 oz. draft, 1/2 price bottles of wine, $1 off specialty drinks, 1/2 off small plates and flatbreads. Jeff, I can assure you as a former manager there that Boscos' beers have a higher alcohol content than 5%. There are a couple that have "accidentally" turned out with a 12% alcohol content. That 1st year's Octoberfest was liquid sunshine that drank like cold iced tea on a hot summer's day and punched like Mike Tyson. And it is all prefectly legal…now. They capped it at 20%. I'd love to know about more hot wing specials. The old Hi-Tone would do all you can eat wings on Mondays. Are there any bars with specials or happy hours for hot wings? And that's true about Side Street (Nikki's comment). I have seen a gigantic price difference based on location anywhere between 3 and 6 dollars for Ghost River. Ideally, I am looking for the normal price since I nornally can't make the happy hours. Ink has great brunch drinks for only $3 on Sundays! Your usual bloody mary's and mimosa's and a divine concoction they call a Honeysuckle! I second that for Ink and their bloody mary bar is one of the best!! Sorry to be the bearer of bad news, but Fireball shots are $4 at Bardog, and never subject to a discount. Richard, Buffalo Wild Wings has traditional wing specials on Tuesday and boneless wind specials on Thursday. Happy Hour is Mon-Fri from 11-5 and 7-close. $3 draft beer, well drinks and food happy hour specials. Mellow Mushroom in East Memphis (Park & White Station) has a brand new pint night on Thursdays. Most pints are $3. Fabulous list!! thanks so much. Like another who posted the question of 'non happy hour' prices, I too would like to see a list similar to this of bars with best every day deals / regular prices. Especially looking to go out on a Saturday night (no happy hours of course). Like, where would be the best place to go to get a decent price on import beers / high-er gravity beers or heck, just a fine PBR for those long nights! I love this list! But there are so many new places since last year and an updated Summer 2014 list would be amazing! It is very helpful list but I think kinda out of date. Flying Saucer is close to $4 now for their pint night. Didn’t automatic slims close years ago ? Marc, Automatic Slim’s is alive and well. And we are putting out an updated list very soon! I refer to this ALL THE TIME!! Megan – Awesome! I am putting out an updated version very very very soon. Patrick's on Park has $2 domestic bottle beer and $2 house wine all day Tuesday. They also have 2for1 on Bud and Bud Lite pints on Saturday all day.